Premier: M+A - "WHEN EP"
Italian electro-pop duo M+A are fast becoming the band of the moment, especially after being named as this years winners of Glastonbury’s Emerging Talent Competition following three shows at this years festival. Their incredible upcoming single ‘When’ (released August 4th on Monotreme Records) highlights just why the twosome deserved the prestigious title. Infusing European dance-pop and laid-back electro, “When” is pretty much an essential track for summer and one that you’ll probably end up enjoying more with every listen. 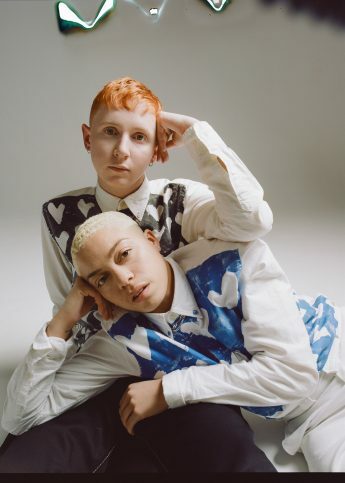 The ‘When EP’, which is premiering here exclusively at Wonderland Magazine, also has some lively remixes provided by Is Tropical and Aatlas, both of whom give the track a fresh feel and a real dance undertone. The track is lifted from the duo’s album ‘These Days’ which was released last September and has been described as “Beck channelling Phoneix at a Brazilian rave organised by Friendly Fires”, which we think sounds perfect! Have a listen to see what all the hype is about or catch the duo live tomorrow night at London’s Bedroom Bar, Shoreditch.